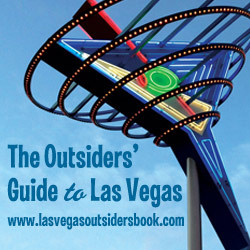 As discussed on the most recent podcast, I have had aspirations for several years to write the Five Hundy by Midnight Outsiders’ Guide to Las Vegas. Today, I have launched a Kickstarter campaign to help make it happen. Please check out the Kickstarter page and, if you’d like to see this project become a reality, I would appreciate your support. VIMFP photo courtesy of Pete Finlay. In the days since posting show #449, Michele and I have been overwhelmed by the flood of supportive e-mails, Facebook comments and tweets. I can’t adequately express how much I appreciate everyone who has taken the time to share personal stories or to simply tell us you’re thinking about us. With so many people on my side, I feel like I can’t lose. So from the depths of my heart, thank you. Derek Stevens, CEO at The D, announced this afternoon that he has lined up multi-platinum Canadian alt-rock band Our Lady Peace to headline the Vegas Internet Mafia Family Picnic afterparty on Oct. 19. After a fun-filled afternoon with us and our friends from VegasTripping and Vegas Gang, stick around for a massive night in the VIP section directly in front of the Third Street Stage. If you’ve never been in the VIP section at a Fremont Street Experience concert, trust us… it’s fantastic. In addition to having a great vantage point just feet from the stage, it’s not nearly as packed as the general admission area, plus easy access to the bar. Whether you’re an Our Lady Peace fan or not, you’ll want to stick around for this party. It’s going to be a great time, and we can’t wait to see you there. Last night, the Vegas Tripping crew announced the winners of this year’s Trippies. Thanks to everyone who voted for Five Hundy by Midnight as the Best Las Vegas Podcast, @fivehundy for Best Las Vegas Tweeter and FremontStreetBars.com as Best Las Vegas Website. We’re truly honored and more than a little surprised. Congratulations to the nearly 1,700 maniacs on our Facebook group for winning the Best Community for the second consecutive year. You’re all sorts of awesome, and the award is well-deserved. 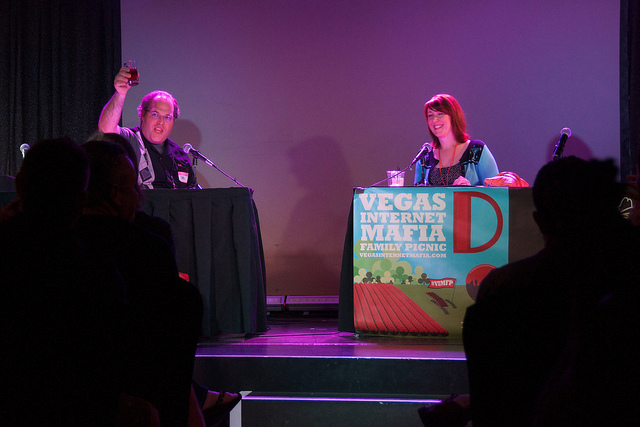 Thanks to the Vegas Tripping posse for giving the Editor’s Choice nod to Five Hundy for Best Las Vegas Podcast. A few friends of the show took home well-deserved honors from VT’s readers as well. Congratulations to Vegas Mate for again winning in the Best App category, Two Way Hard Three for nabbing Best Blog, Drunk Scott for getting Best Casino Social Media and Derek Stevens for his Person of the Year award. Next week’s podcast will feature our annual Trippies analysis.